I wrote a #poem about my grandfather & how the murder of one POW exists within the vast sequence of violence, ordered and executed, during WWII. The poem lives at @intothevoidmag - https://t.co/KKn1VBeSoO. Grateful to @PhilipElliott__ + Heath Brougher for giving #poetry a home. what do you think about this line ? And your tracksuit bursting at the seams. – C.P. 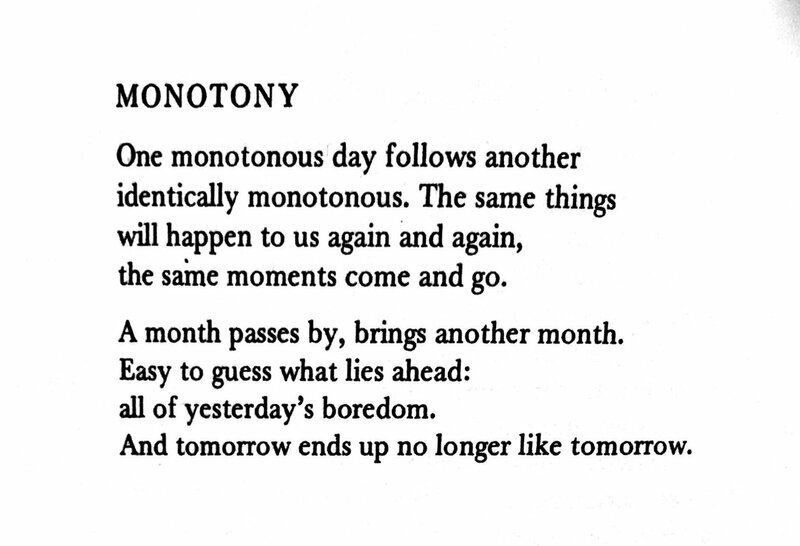 Cavafy, “Monotony”, translated by Edmund Keeley/Philip Sherrard. Socially engaged disability meets survivors poetry + local poets + open mic. 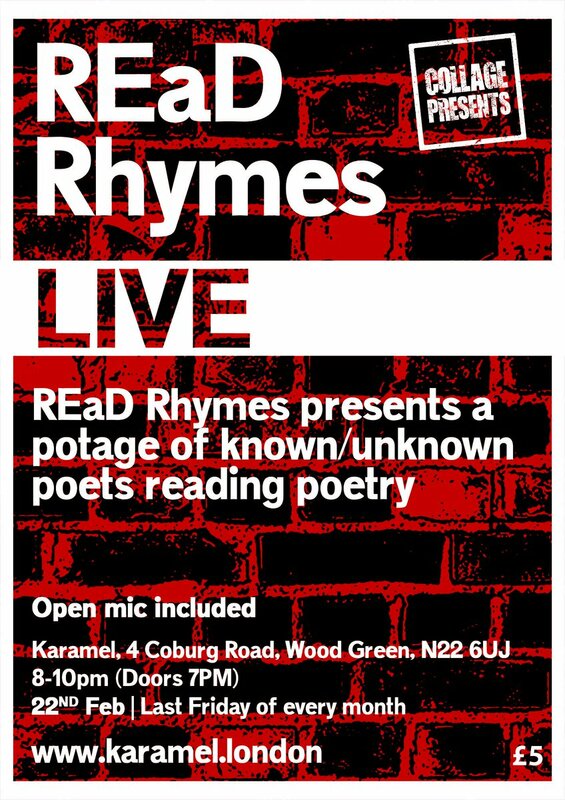 REaD Rhymes is back on Friday the 22nd February! Feat. Richard Downes, George Tahta, Wendy Young & Hannah Lowe.